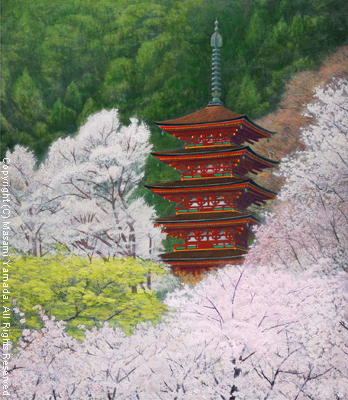 "Sakura in the Country of the Rising Sun"
"ASIAN ART CITY 2009 Vol.12" is featuring Masami Yamada as the cover story! An online version of the magazine can be viewed here, just click on "DIGITAL BOOK". Another DIGITAL BOOK showcases some of Masami's artworks. Copyright (C) 2005-2016 Masami Yamada. All Rights Reserved.